The Oranges Blu-ray Review All in the all, The Oranges is a quaint and quirky film that is fun from start to finish and only loses itself a few times along the way. Hugh Laurie (House) returns to the big screen in this witty comedy entitled The Oranges which revolves around the affair of a father and his neighbours 24-year old daughter. 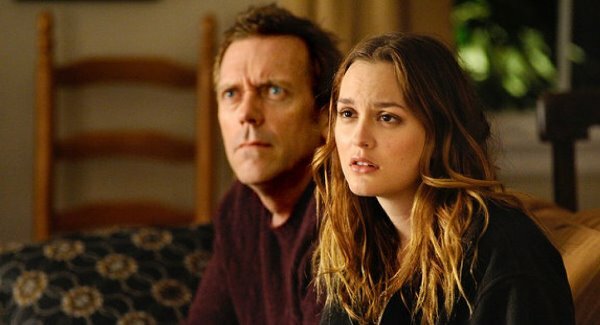 The father in question is David (Hugh Laurie), who is unhappily married to Paige (Catherine Keener) and their 20-something year old daughter Vanessa is still living at home. Life isn't the best for David nor his family. 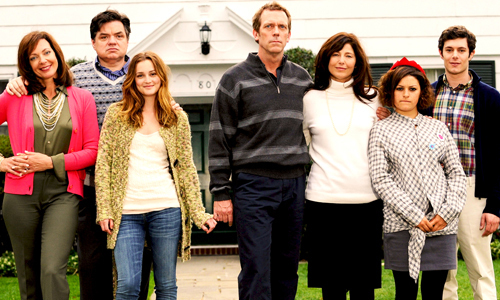 David's best friends is Terry (Oliver Platt), the father from next-door who is also married to Cathy (Allison Janney) but when their daughter Nina (Leighton Meester) moves back home from San Francisco after a relationship breakup, David and Nina soon start a not so secret relationship. From happy neighbours to rivals, things begin to fall apart very quickly for all involved which creates some rather amusing situations. It's definitely a very quirky comedy that is excelled by the actors themselves. Although Laurie once again proves why he is such a competent actor, the stars of The Oranges for me were the wives Paige (Catherine Keener) and Cathy (Allison JAnney) who play these bittersweet characters that are quite polar opposites. Leighton Meester should also be commended as the young woman in the middle who has caused some utmost chaos for both families. It's also great to see Laurie move away from his House character and as a result, certain scenes in the film are hilarious. All in the all, The Oranges is a quaint and quirky film that is fun from start to finish and only loses itself a few times along the way.